As the competition in the telecom sector getting stronger after the entry of Jio, major companies such as Airtel, Vodafone and Idea changed their strategies to keep themselves alive in the game. As a result these companies recently implemented the monthly recharge system and thus disposed the lifetime validity scheme. Due to the new implementation, users have to do recharge every month with any available plan vouchers to keep their number active. If no recharge done on time, outgoing call facility will be blocked first, followed by incoming call after 15 days. Finally after 90 days the operator have the right to disconnect the service too. User can choose any unlimited plan or minimum recharge plan starting from Rs. 35 to keep their number active. 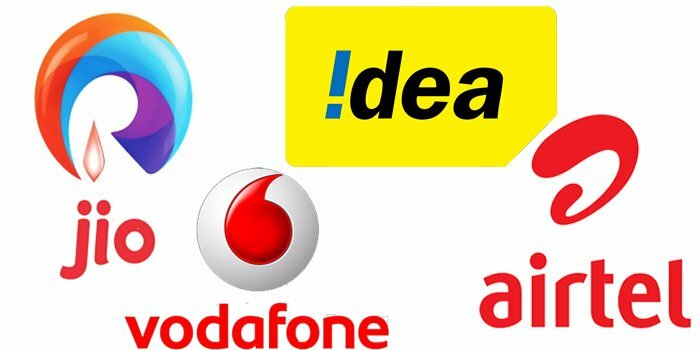 You can check the list of available minimum recharge plans available in various network. If you wish to recharge with unlimited packs, you can choose below pack depends on the network. Here we will look the monthly unlimited plans provided by each operator. The monthly plan priced at Rs. 149 and Rs. 199 and the validity will be for 28 days. Airtel offer unlimited offer for this plan for a period of 28 days. In this plan users will get daily unlimited local and national calls, along with 1.4GB of data every day. The pack also offer 100 local and national SMS each day. As like Airtel, Idea also providing 28 days validity with 199 pack. The pack offer unlimited local, national and roaming calls along with 100 local and national SMS every day. The pack provides data benefit of 1.5GB of data each day. As vodafone and idea is now same company, the new offers introduced by the company are almost the same. So here Vodafone also providing its users 1.5GB data every day along with 100 local and national SMS per day. The pack provided unlimited voice calls than can be used for local, national and while in roaming too. For a validity of 28 days, Jio is offering the cheapest plan when compared to other networks. With this plan users will get unlimited local, national and roaming calls together with 100 local and national SMS every day. The pack also provides 1.5GB of data every day.